The numbers that have come in are pointing to President Mahama’s victory. We the Greenbook Ghana Team are confident in an un-shaken manner that President Mahama will win the election. Other than the fact that John Mahama has worked hard and the people voted for him. There are other key issues that have come to light. Firstly, The NPP Declaring results five hours after the first day of election is questionable. 29,000 polling stations and how could you have had all the results? Meanwhile you cannot show any of the pink sheets you are declaring. Thirdly, Media houses that were obviously biased have now pulled back ALL the numbers they were posting. Joy FM as at this morning, were ready to declare elections. Watch JoyFM now and see. No more declarations. Over-voting by 686. More and more are coming. Lastly, Akufo-Addo lied that he has been congratulated by other contestants. Those same people have come and said that they did not concede or congratulate him. 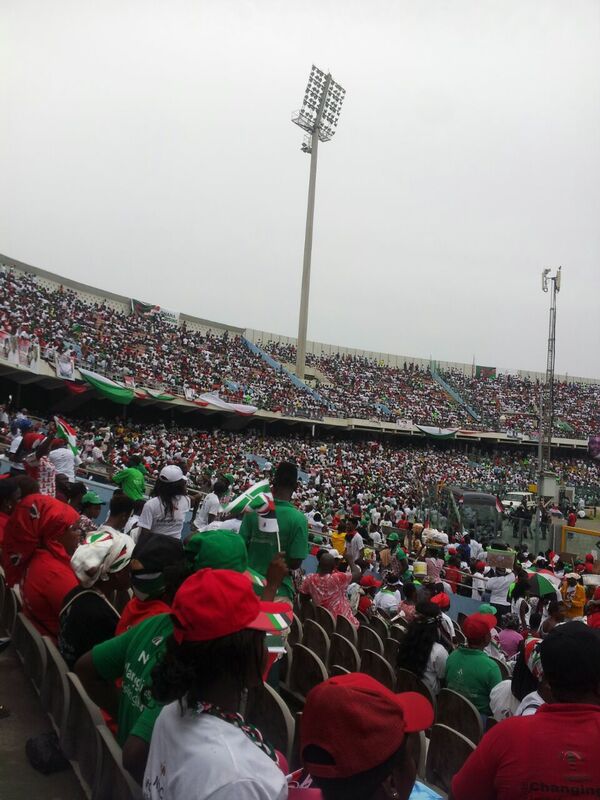 We are sure of President Mahama’s win. There are no two ways about it.